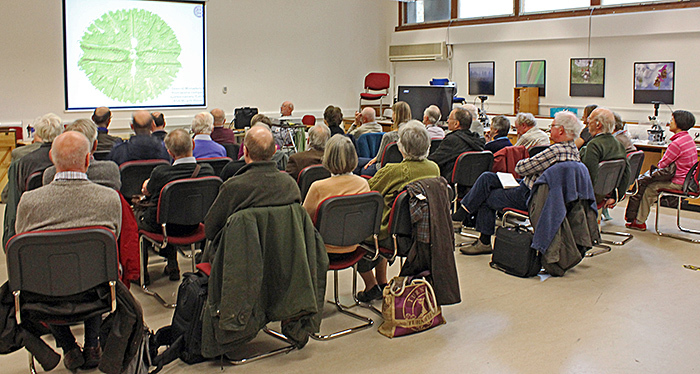 Dennis Fullwood introduced Dr David Linstead, one of the Club’s best-known photomicrographers, at this meeting in the Dorothea Bate Room in the Natural History Museum in London. David used a PowerPoint presentation to explain the different types of digital camera that can be used with microscopes, including compact cameras with non-interchangeable zoom lenses, digital SLR cameras, mirrorless compact system cameras, and USB cameras. He also explained the different ways of connecting them, eyepiece projection (no glass between eyepiece and sensor) and afocal (camera or other lens between eyepiece and sensor). David concluded his talk by showing us photographs taken with a variety of equipment. One of the questions from the audience was how many images are needed for stacking. Rik Littlefield (author of Zerene Stacker) has a table at the bottom of his page on DOF Estimates For Macro/Micro (depth of field, step sizes) that gives the depth of field for objectives of various NAs. If you know the distance corresponding to each gradation of the fine focus on your microscope, you can work out how much to turn the knob for each step. For questions that couldn’t be answered during the workshop, David highly recommended the forums on amateurmicrography.net where there are thousands of archived questions and answers, and lots of friendly experts ready to help. After David’s presentation, Dennis Fullwood, Paul Smith and Alan Wood introduced their demonstrations. 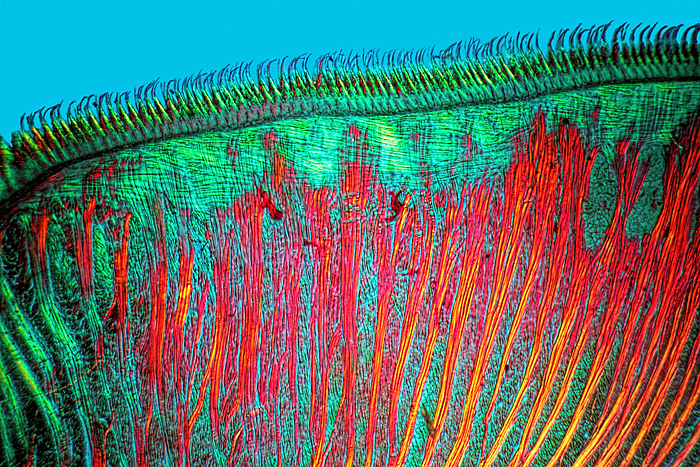 Dennis Fullwood brought a few books, including Extreme Close-Up Photography and Focus Stacking by Julian Cremona and Practical Digital Photomicrography: Photography Through the Microscope for the Life Sciences by Brian Matsumoto. 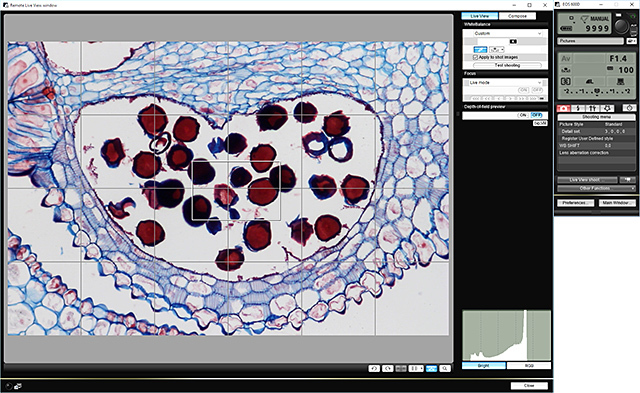 Dennis demonstrated eyepiece projection with a Nikon D90 digital SLR mounted on his trinocular Nikon Labophot microscope, with the camera connected to a laptop computer to display the image. 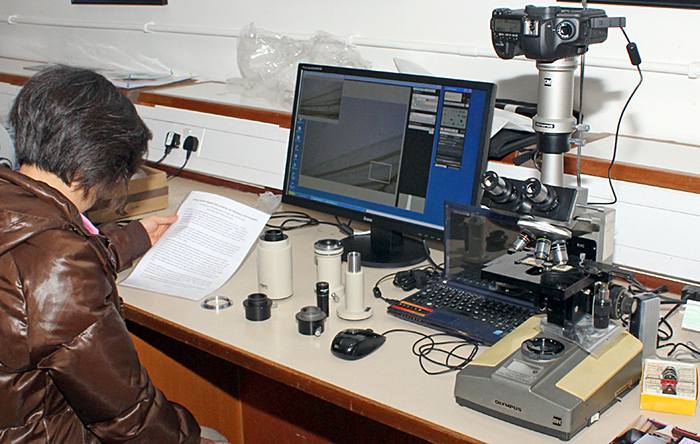 Dennis also demonstrated his trinocular Olympus SZ4045 stereomicroscope with a video camera attached to a Leitz Periplan 519750 eyepiece, an example of afocal coupling. 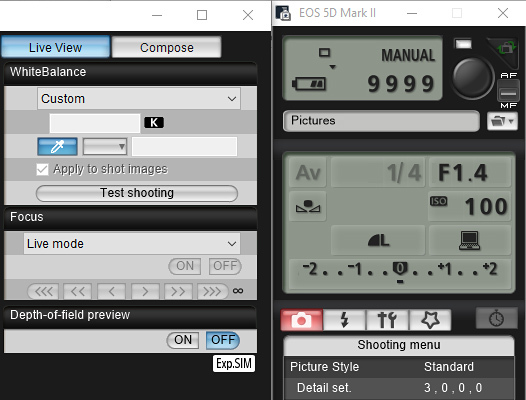 As an alternative to the video camera, David Linstead demonstrated another afocal system consisting of a Sony NEX 5N mirrorless compact system camera with a Minolta 50 mm lens and a Scopetronix MaxView Plus wide-field 6×30 eyepiece; see sample pictures 9–12 below. 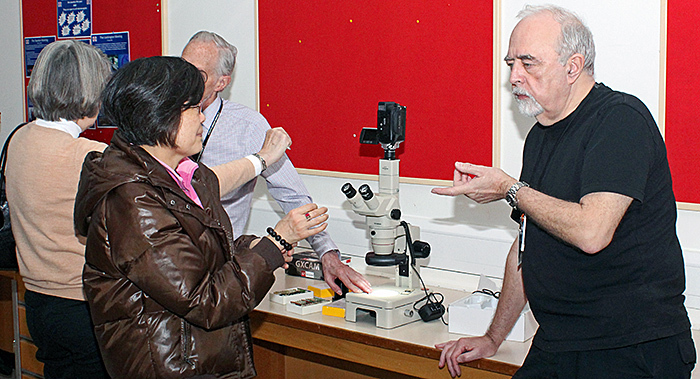 Dennis also brought a clamp that attaches to the eyepiece tube of a microscope (upright or inclined) and allows a camera with a ¼″ tripod bush to be adjusted with the centre of its lens above the eyepiece, for afocal coupling. 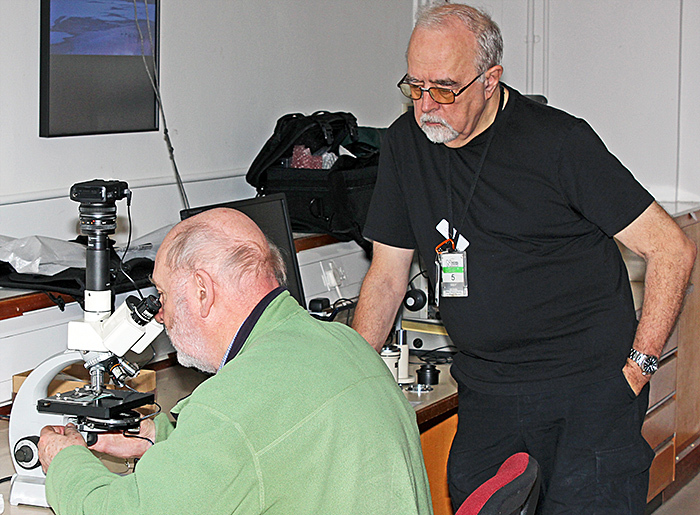 David Linstead demonstrated eyepiece projection with the Club’s Canon EOS 550D digital SLR camera mounted on a trinocular Zeiss Standard via an Asahi Pentax microscope adapter and an M42-EOS adapter. 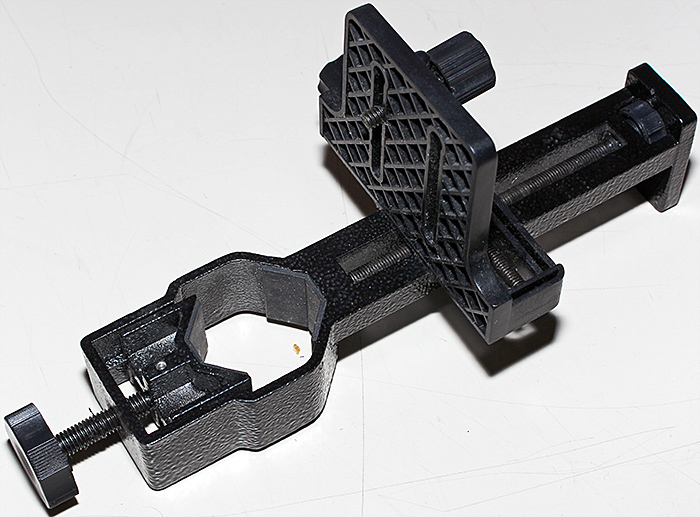 Inside the adapter there is a normal Zeiss 10×18 KPL eyepiece raised above its normal location so that it projects a real image onto the sensor in the camera. The image was displayed on the Club’s large television via an HDMI cable. David also demonstrated afocal coupling with the Club’s Canon EOS M mirrorless compact system camera and another trinocular Zeiss Standard. 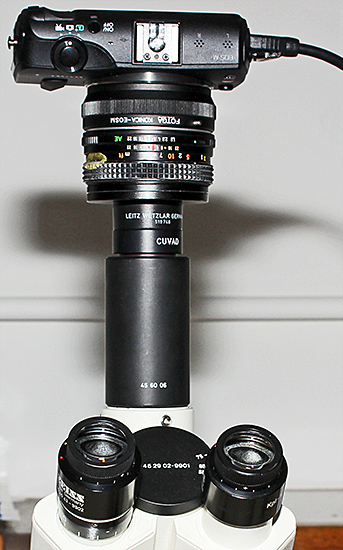 An adapter on top of the head held a Leitz Periplan 519748 10×18 eyepiece that has a 28 mm thread (originally for an eyecup) with an adapter to fit the filter thread of a Konica 40 mm lens, attached to the camera via an Konica-EOSM adapter. The image was displayed on the Club’s small television via an HDMI cable. 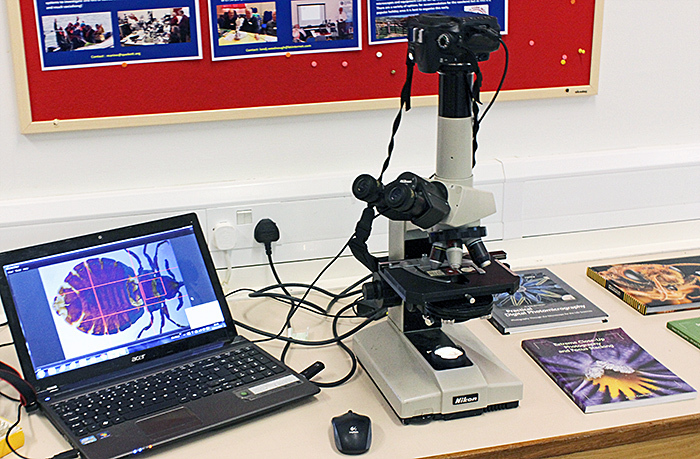 Paul Smith demonstrated a Swift FM-31 portable microscope with a USB camera replacing its eyepiece, providing an image on the connected laptop computer. This type of camera usually has a very small sensor, resulting in a narrow field of view, so Paul also demonstrated a 0.5× adapter (bottom left in the photo) that doubles the width of the field. 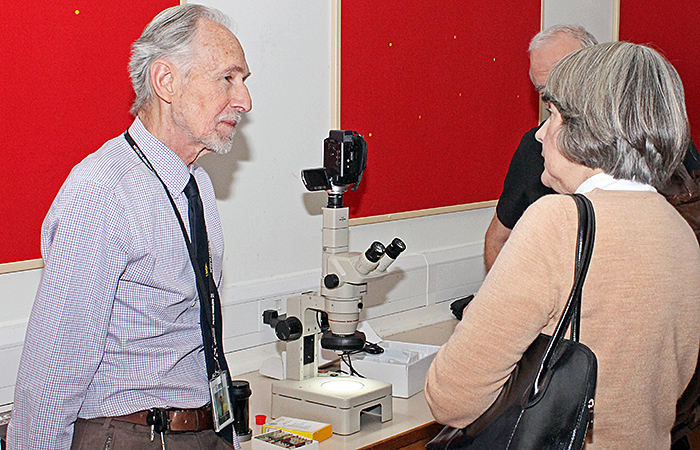 The Club has a binocular Olympus BHC microscope, and Alan Wood brought in his BH-TR30 trinocular head, PM-ADF eyepiece adapter, FK 2.5× photo eyepiece, Photomicro Adapter L, OM-EOS adapter and Canon EOS 5D Mark II digital SLR to demonstrate eyepiece projection. The camera was connected via a USB cable to a netbook computer running the free EOS Utility software that allows the image to be focused and composed on the screen. It also provides full control of the camera, including exposure, white balance and shutter release. The netbook was connected to the Club’s small television via an SVGA cable to provide a larger image. 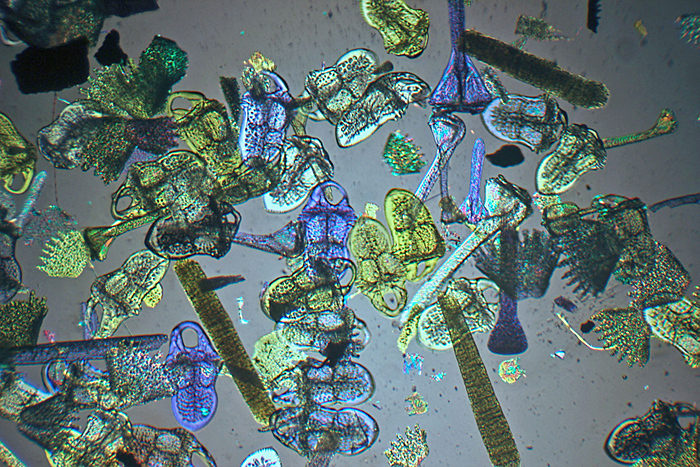 If you want work out the number of steps needed for stacking with an Olympus BH microscope, each gradation on its fine-focus knob corresponds to 2 µm (0.002 mm). The same applies to the BH-2. Alan also brought an assortment of Olympus accessories for members to examine, including a Photomicro Adapter L, a BH2-PT photo tube, a PM-ADF eyepiece adapter, an NFK 2.5× L photo eyepiece, and one of the cheap OM-EOS adapters from Chinese eBay sellers. 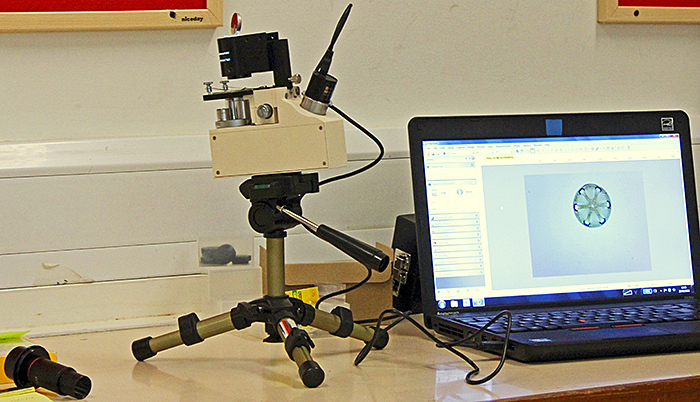 You can find out more about this equipment on Alan’s website: Olympus microscopes and photomicrographic equipment. 1. 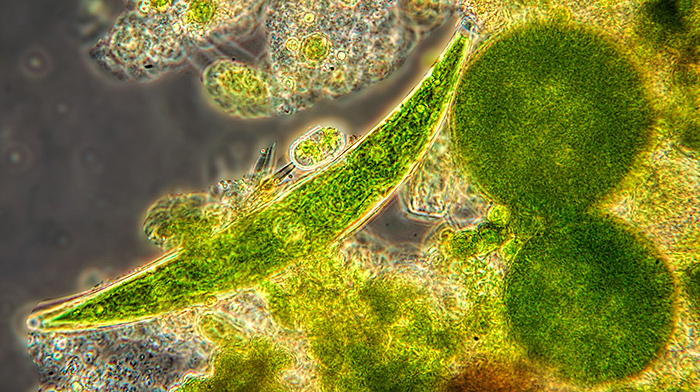 Closterium desmid, Zeiss Standard ×40 phase contrast. Canon EOS M afocal coupling with 40 mm Konica lens on camera and Leitz Periplan 10×18 eyepiece. 2. 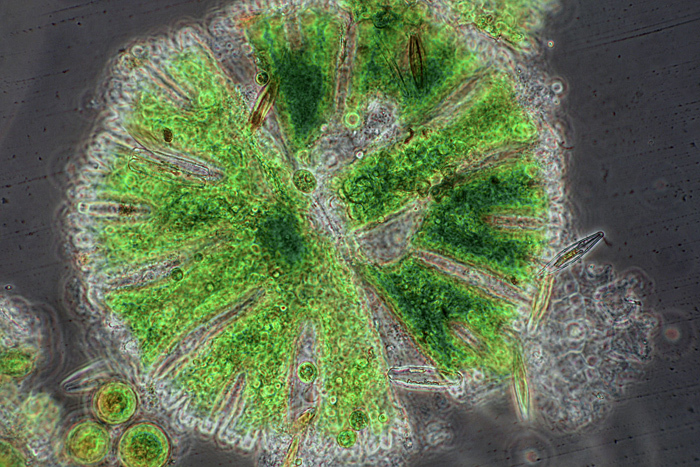 Closterium desmid, Zeiss Standard ×40 phase contrast. Canon EOS M afocal coupling with 40 mm Konica lens on camera and Leitz Periplan 10×18 eyepiece. 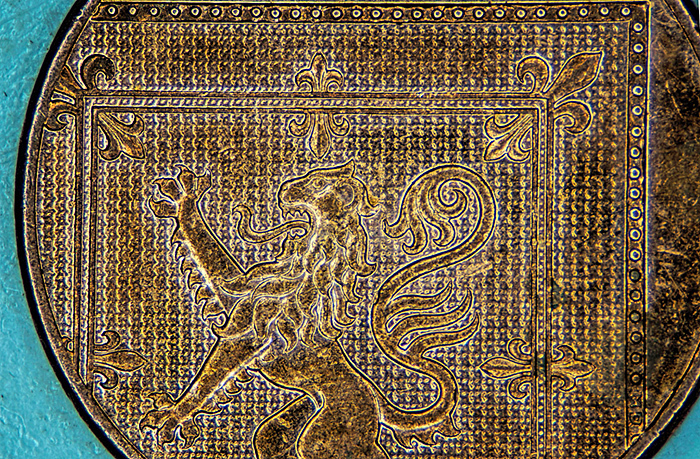 Stitch of three images. 3. 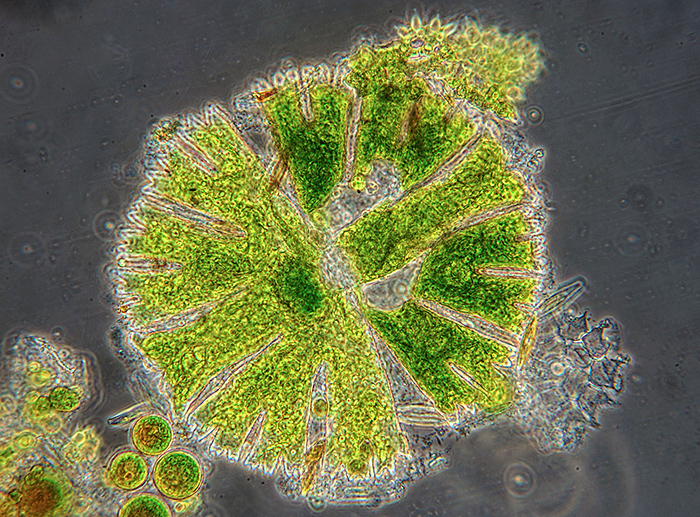 Closterium desmid, Zeiss Standard ×40 phase contrast. Canon EOS M afocal coupling with 40 mm Konica lens on camera and Leitz Periplan 10×18 eyepiece. 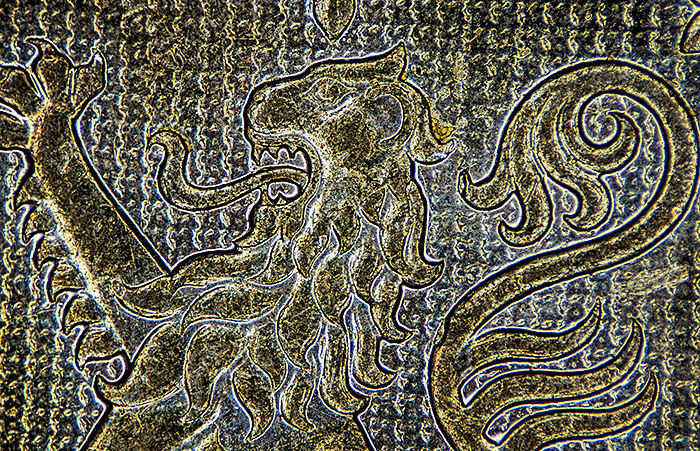 Stitch of four images. 4. Micrasterias desmid, Zeiss Standard ×16 phase contrast. Canon EOS M afocal coupling with 40 mm Konica lens on camera and Leitz Periplan 10×18 eyepiece. 5. Micrasterias desmid, Zeiss Standard ×40 phase contrast. Canon EOS M afocal coupling with 40 mm Konica lens on camera and Leitz Periplan 10×18 eyepiece. Compare with next image. 6. Micrasterias desmid, Zeiss Standard ×40 phase contrast. Sony NEX 5N afocal coupling with 50 mm Minolta lens on camera Scopetronix wide field 6×30 eyepiece. Compare with previous image. 7. Victorian slide of section of rat tongue. 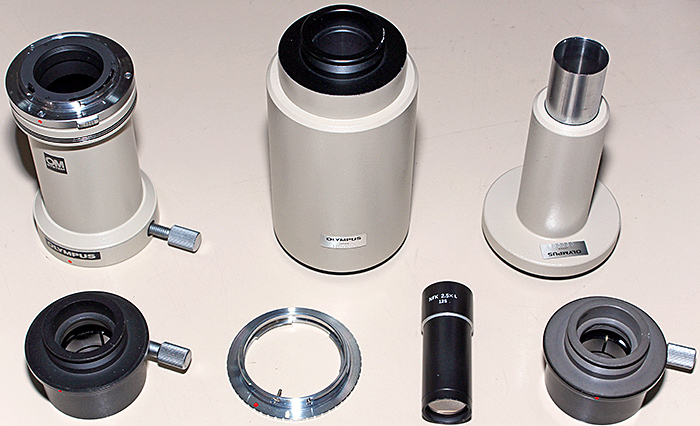 Zeiss Standard microscope, ×2.5 Plan objective polarised light with plastic film retarder, Canon EOS 550D camera, eyepiece projection with Zeiss KPL 10×18 eyepiece in an Asahi Pentax two-part adapter. 8. Plates of sea urchin Echinus, Victorian slide by J. D. Möller, polarised light with plastic film retarder. 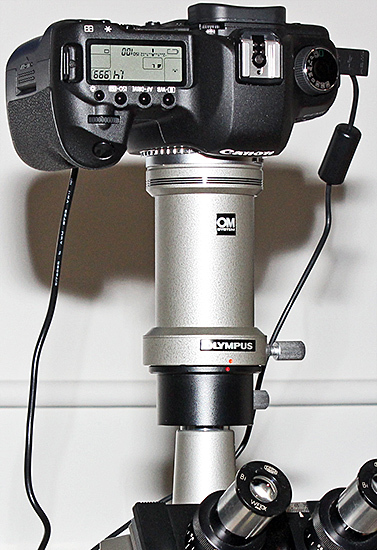 Canon EOS 550D camera, eyepiece projection with Zeiss KPL 10×18 eyepiece in an Asahi Pentax two-part adapter. 9. 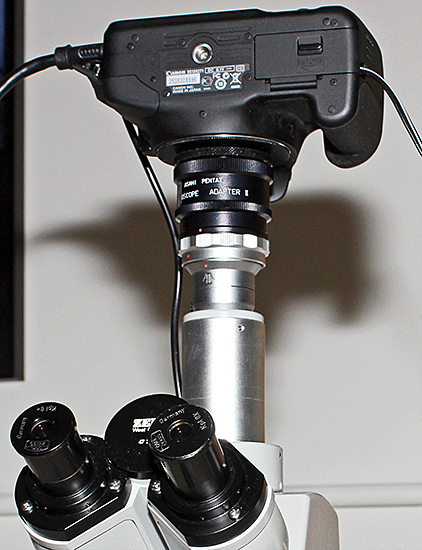 Test of wide-field eyepiece and afocal coupling using Dennis Fullwood’s Olympus SZ4045 stereomicroscope. 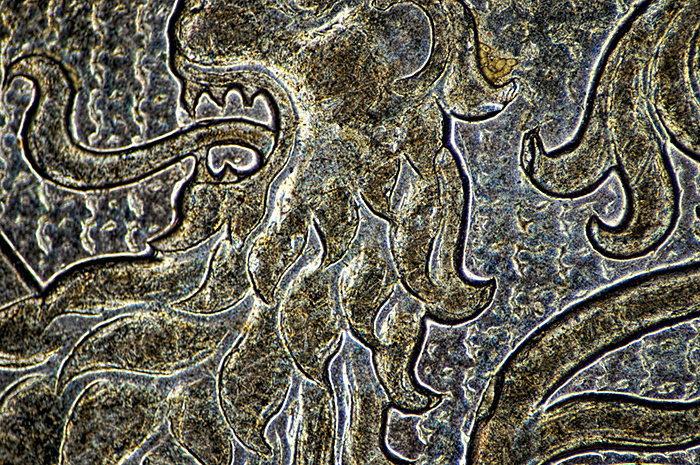 Two pence coin, maximum zoom on stereo (4×). 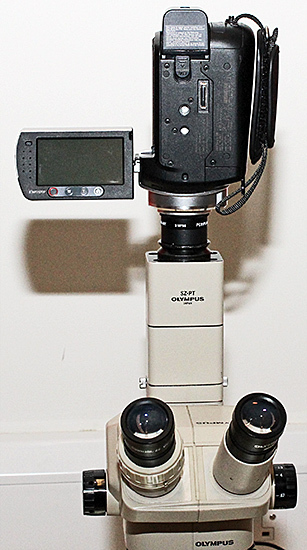 Sony NEX 5N afocal coupling with 50 mm Minolta lens on camera, Scopetronix MaxView Plus wide-field 6×30 eyepiece. 10. As above. 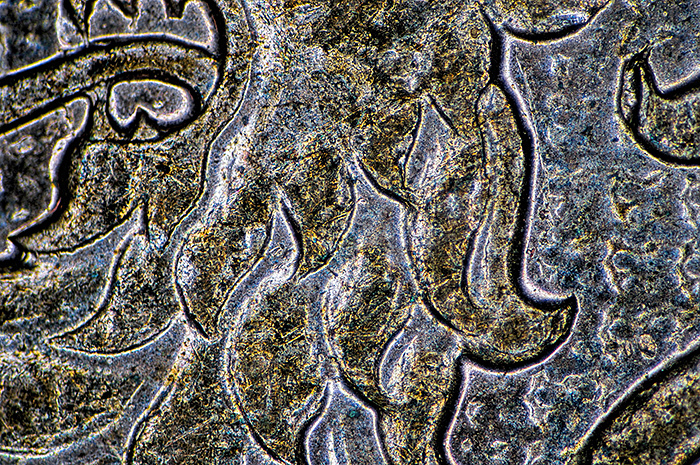 Minimum zoom on stereo (×0.67), Sony NEX 5N afocal coupling with 50 mm Minolta lens on camera, Scopetronix MaxView Plus wide-field 6×30 eyepiece. 11. As above approx. ×1.5 zoom. 12. As above approx. ×2.5 zoom.